Towards healthy villages free from "monkeypox"! On average, 12 cases of monkeypox are reported every week in Tshudi Loto. In the province of Sankuru, many cases of monkeypox have been reported. The Provincial Health Division (DPS) of Sankuru has shared 309 cases and 3 deaths in 25 weeks in the health area of Tshudi Loto, averaging 12 cases per week. Fever, headache, muscle aches, exhaustion, body covered with blisters… Symptoms of monkeypox are similar to those of smallpox, but mitigated. In Africa, however, it can cause the death of one in ten people infected. The DRC is the only country where it is endemic. Transmission can occur through direct contact with the animal (bite, scratch, preparing meat) or indirect through contaminated bedding, for example. Human transmission is thought to occur primarily through large respiratory droplets. Some communities of Tshudi Loto are accessible by motorcycle or bicycle ... The Tshudi Loto Health Zone is located next to Salonga North National Park which, with its southern part, covers 36 000 km². It is the largest rainforest park in the world, and a UNESCO World Heritage site. The people of Tshudi Loto live primarily through hunting and agriculture. 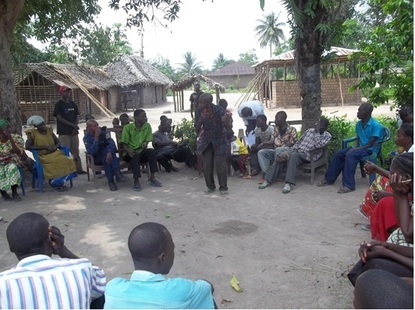 Community management for the reduction of transmission of monkeypox. 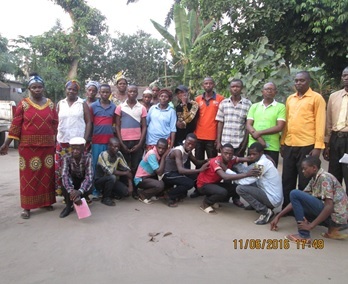 The local team of RDCCompetence in Sankuru proposes to facilitate community management of the fight against monkeypox. The team wants to target children from 5 to 18 years (because they are of hunting age) and farmers, both women and men. To start off, the project would be conducted in the health zone of Tshudi Loto. The people of Tshudi Loto can develop their own action plan, decide on the practicalities of implementing it, and self-assess their progress. to support the local response in Tshudi Loto. towards managing the thread of Monkeypox. ​residents of the Tshudi Loto health zone. The SALT team was trained in 2010 under the project of the National Multi-sectoral Programme for the Fight against AIDS. The team has used the approach in many contexts and with many communities and facilitated practices such as hand washing, use of mosquito nets, children immunisation and conflict resolution. - Transferred the approach to other organisations, such as Caritas Tshumbe. The Democratic Republic of the Congo has a support team! Want to find out more about RDCCompetence?